Lucine is a Chartered Psychologist and yoga teacher with a special interest in the mind-body relationship in health and wellbeing. Local to Kirkintilloch, she established Halo Pathways to offer a holistic approach to health and wellbeing that acknowledges many complementary paths. As a Health Psychologist, Lucine spent several years in university lecturing and research, specialising in health promotion, during which time she also completed a Diploma in Nutrition & Health with The Royal Institute of Public Health. Lucine has always been curious about the way in which people think and feel about their health and the connection between the mind and body. These interests drew her to yoga, where she experienced first-hand the powerful interplay between the mind and body. Beyond the physical benefits, she found that a regular yoga practice worked at a deeper level to challenge thoughts, emotions and reactions. Wanting to explore how yoga could be used as a therapeutic pathway to facilitate positive change and wellbeing in others, Lucine went on to undertake her initial teacher training with the International Sivananda Yoga Vedanta Centre in early 2008 (200 hour Yoga Alliance accredited). Since that point she has pursued an active programme of learning and self-development, studying with internationally-renowned teachers from a range of approaches through further specialist training and workshops. Through this process she has had the benefit of exploring various styles and applications of yoga. She has a particular interest in the therapeutic application of yoga in women's health and has undertaken specialist qualifications in fertility yoga (Birthlight), pregnancy yoga (Yogacampus, with Uma Dinsmore-Tuli), postnatal yoga (Birthlight), and is also a KG Hypnobirthing teacher. Lucine is also a qualified 'Yoga for Healthy Lower Backs' teacher (evidence-based programme for chronic low back pain) and has undertaken additional training in the practice and teaching techniques of the primary series of Ashtanga Yoga (with David Swenson) and Integrative Yoga Therapeutics (with Bo Forbes). Lucine has complemented her training with a study of eastern views of the body's energy system, qualifying in on-site seated shiatsu (Glasgow School of Shiatsu), and this is an area she continues to explore. Lucine also undergoes continued personal and professional development in meditation and mindfulness-based practices, with a particular interest in applying these approaches in the management of stress and anxiety. Following a long career of public service in the health and social care sector, formerly working with adults with learning difficulties and latterly as an occupational therapy assistant, Irene now teaches yoga full-time. Irene has always had a keen interest in Eastern traditions and she attended her first Hatha Yoga class in Glasgow more than forty years ago. Instantly inspired, she made it a quiet ambition to one day teach yoga herself, and from that point she actively pursued her own development, taking guidance from both self-study and teachers from various schools of yoga. In 2006 Irene completed her teacher training with the Anahata School of Yoga (200 hour Diploma) in Glasgow, from which point she has continued her professional development, with a particular focus on yoga nidra, yoga philosophy, and meditation. Irene’s classes are grounded in building the core foundations for an effective yoga practice, focusing on awareness, alignment and working with the energy channels in the body. Irene enjoys sharing her experience and knowledge with students, regardless of level, and working closely with them to help them reach their full potential. Amanda is an experienced massage therapist who holds diplomas in both Swedish Massage and Seated Acupressure Massage, gained from the Western School of Massage and Professional Therapy in 2011 and 2012 respectively. Amanda has also undertaken additional training in pregnancy massage that is accredited by the Royal Collge of Midwives. The stresses of everyday life can have a significant impact on an individual and their health and Amanda recognises massage as a valid and valuable intervention, having multiple health benefits for both the body and mind. She is committed to providing professional holistic treatments to promote wellbeing and improve quality of life. She is registered with the SMTO (Scottish Massage Therapists Organisation). 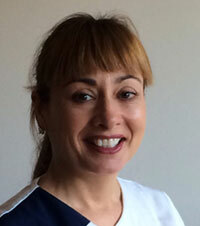 Fiona is an experienced and professional therapist who holds diplomas in reflexology, aromatherapy, and Beauty Therapy. 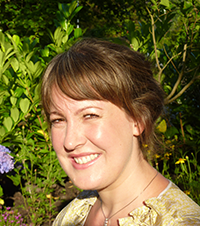 Originally qualifying as a reflexologist in 1999, Fiona now specialises in this complementary therapy, as a direct result of the positive improvements she has witnessed in clients’ health. She has undergone continuous education throughout her career, and recently completed additional training at The Complementary Medicine Centre in Glasgow, trained by Ruth Chapell, who is one of Scotland’s leading experts in reflexology and related therapies. 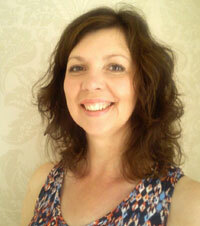 Fiona also holds a specialist qualification in pre-conception and fertility reflexology. 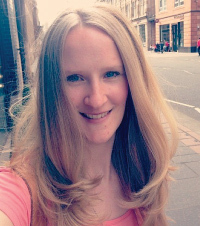 She is studying Philisophical Ethics part-time at Glasgow University and is interested in the important connection between the health of the mind and the body. 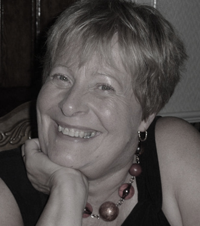 As a member of The Association of Reflexologists, Fiona subscribes to their code of ethics and strives to provide clients with an effective therapy in comfortable and relaxed surroundings. Karen graduated from the reputable Western School with a Diploma in Swedish Massage (DSM) and Remedial and Sports Massage (DRSM). Her greatest passion lies in remedial massage therapy which targets clients' aches and pains and injuries, increases range of motion, restores muscular balance and reduces the risk of re-injury. Sports massage does exactly the same thing in a sporting environment and also helps enhance athletic performance during training and competitive events. With a young baby at home, Karen also decided to train as a Relax and Sing Baby Massage and Yoga Instructor, completing a Royal College of Midwives-Accredited instructor Training course in 2015, qualifying her to run courses for parents and babies. Having spent more than eight years working in office-based project management, effectively ruining her posture and muscular balance by sitting down all day, Karen decided to make the giant leap and turn her career around. Her philosophy is simple - "bodies are made for motion, not for stillness" . She has experienced first-hand how effective massage therapy can be in restoring and improving an individual's normal muscular function and tailors her treatments to each client's unique needs.